It’s diverse, it’s won Team GB plenty of Olympic medals in the past, and it’s a sport that’s enjoyed by competitors and leisure users alike. We’re talking about sailing, a sport that’s open to all, and one that is fairly easy and affordable to get started in, thanks in part to the wealth of sailing clubs, courses, and holidays run throughout the UK and beyond. Sailing opportunities available often include windsurfing, one of the fastest forms of sailing, where you can reach up to and over 50 mph, along with yachting and dinghy sailing. 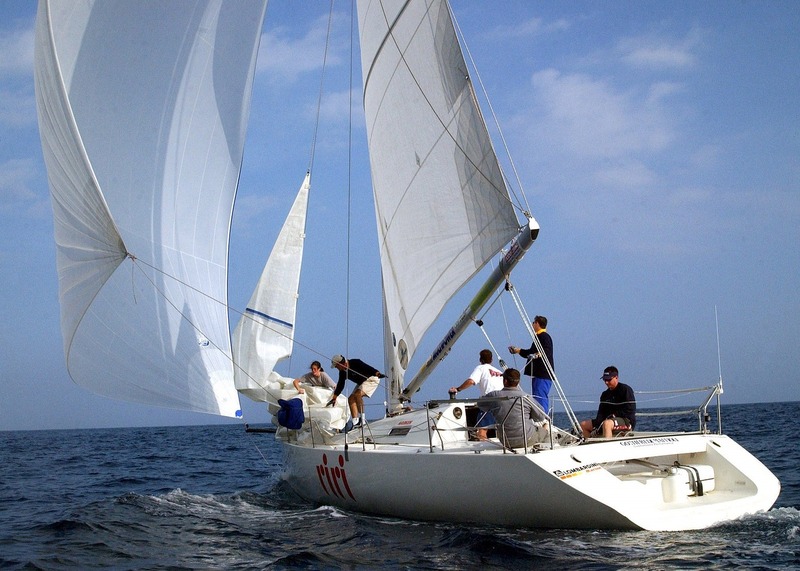 Activities and courses may vary depending on the club facilities and the location/conditions, but there are plenty of choices, and you don’t always have to be a member of a sailing club to join in. The best answer is almost everyone. Many sailing clubs impose a lower age limit of 8 years old, but apart from that you don’t have to be fit or able-bodied to have a go. There are different types of boats and sailing to suit all. Your local club may have activities available to suit disabilities, and youth sailors can typically learn the basics in a dinghy, and perhaps progress to a youth wind surfing course. Check out details of your local sailing courses and you may well find equipment is included, along with instruction, and you may get fed as well, so it’s often an affordable way to get involved. How Can I Take To The Water? Look out for novice or complete beginner courses that require no experience. These could be taster courses over a weekend which will teach you the basics of sailing, and introduce you to what sailing schools are all about, or for something a little more involved, try a competent crew option. Typically over 5 days, these courses cover day and night sailing, knots and rope work, sail handling and more. If you choose to progress further into sailing, some courses will give you the nautical miles or skills needed for more advanced qualifications. Another option is to book onto a sailing cruise. This is a great way to get friends and family involved, and you can all socialise, work and learn together and enjoy the experience of cruising the open waters and seeing some of the wildlife and coastal scenery across the UK. Experienced skippers will lead every cruise, but there’s plenty of chances to get involved if you want to learn more about navigation, setting sail, passage planning, or other aspects of cruising the waters. If you’re not sure if your local area has a sailing club, then check out the Royal Yachting Association or their Welsh, Scottish or Northern Irish equivalent. There you will find a directory of sailing clubs running RYA approved courses, details of programmes such as RYA Push The Boat Out, and RYA Sailability which promotes disability sailing, and ONBOARD which focuses on windsurfing and sailing for young people. You could also visit your local travel agent or specialist operator and find out options available for cruising and sailing adventure breaks, or check out pages such as Get Inspired on the BBC Sport page. Combine all these resources with books, videos, blogs, maybe even a trip to a sailing regatta or club open day and you’ll have every chance to find out about all the benefits of sailing, and how to get involved. Maybe you’ll even inspire others to take up the sport. Simon King runs Broad Reach Sailing, which offers RYA sailing courses on the Solent on the South Coast. This entry was posted in Other and tagged disability sailing, learning to sail, sailing, sailing archives, sailing blogs, sailing clubs, sailing schools, sailing tips, sports and leisure, Sports Archives, Sports Blogs, water sports, Windsurfing, Yachting. Bookmark the permalink.